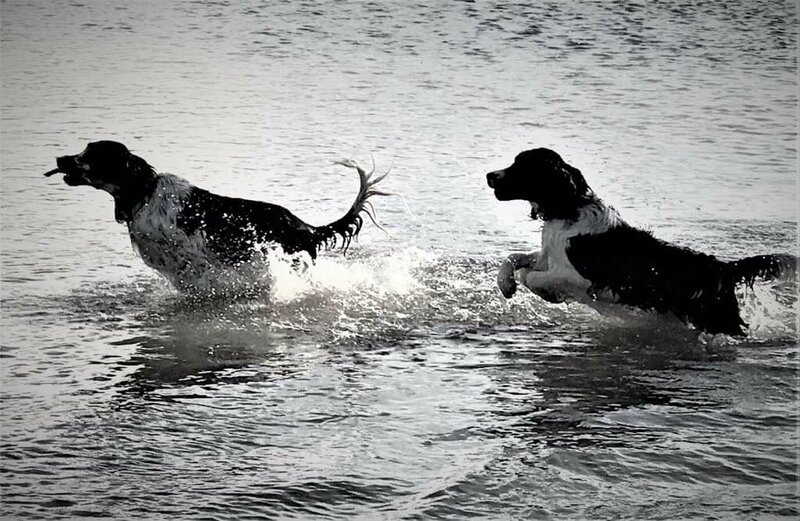 They are really having fun chasing one another through the shallow sea ! A fun shot! It brought a smile to my face when I saw it. Lovely black & white, the light is extroadinary. Terrific shot of the action. Lots of happiness in this shot! Lovely to see them having fun. Great capture. Great shot. Two happy dogs!